Frame — AISI 304 electropolished stainless steel. Low frame, that can be raised and lowered with ease accommodating different styles of dress. 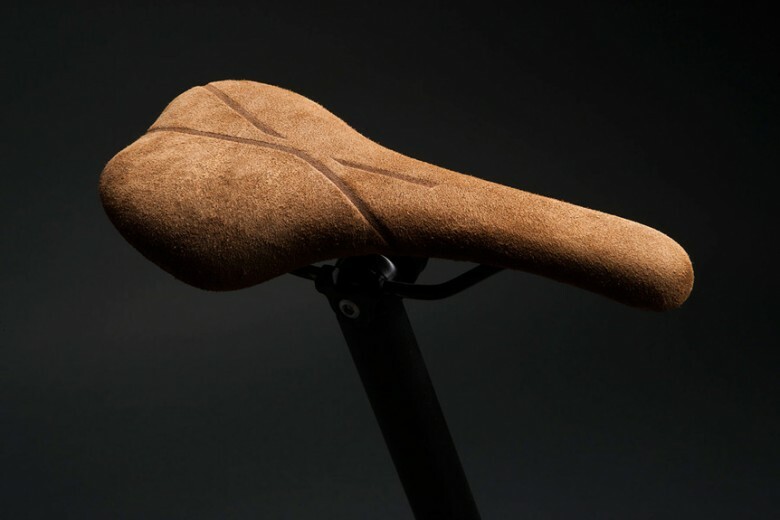 Saddle — Reverse leather saddle for CASTRO. A strong seat that offers the most comfort. 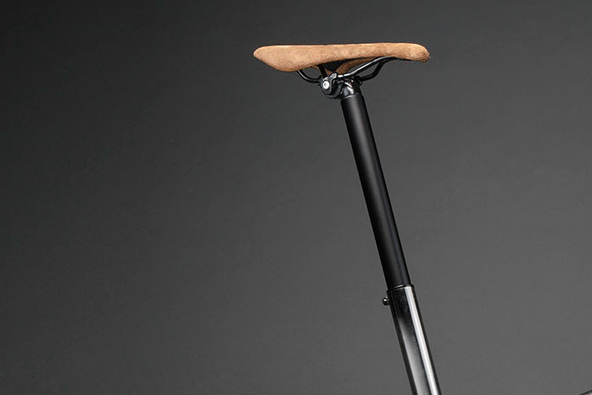 Seatpost — Aluminum, 33.9 L 600mm. Adjustable seat with a horizontal variation of 7cm. allowing for different positions. 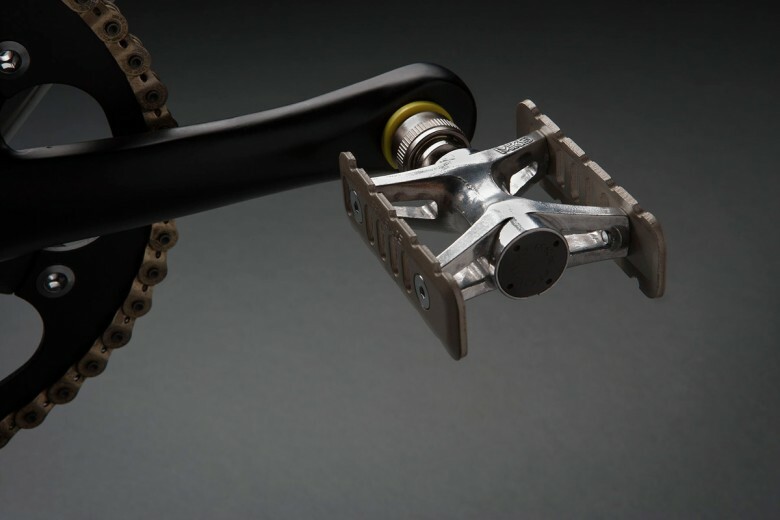 Adjustable stem — EZ2 (AHS) Satori for CASTRO 3D of 110mm Tool-free easy H/bar side turning. 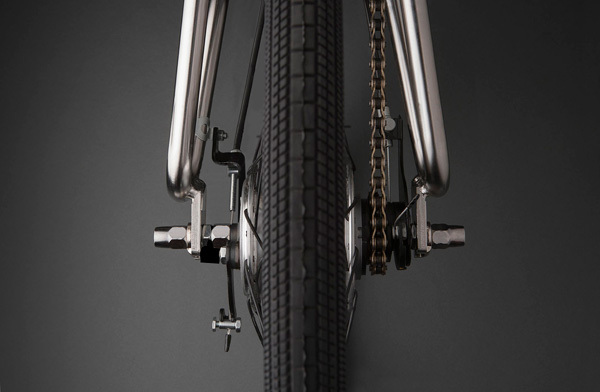 In one movement the bike is flat, occupying minimal space. Chain — Taya Mezzo oro. 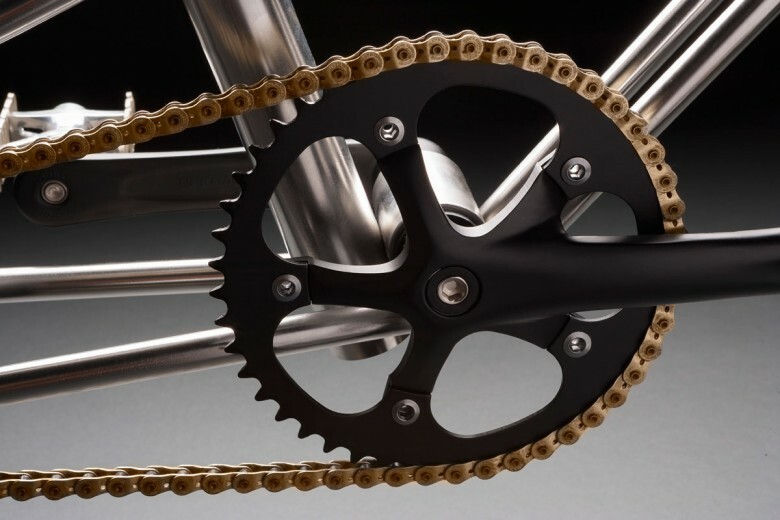 Creates a geometry independent of the frame. 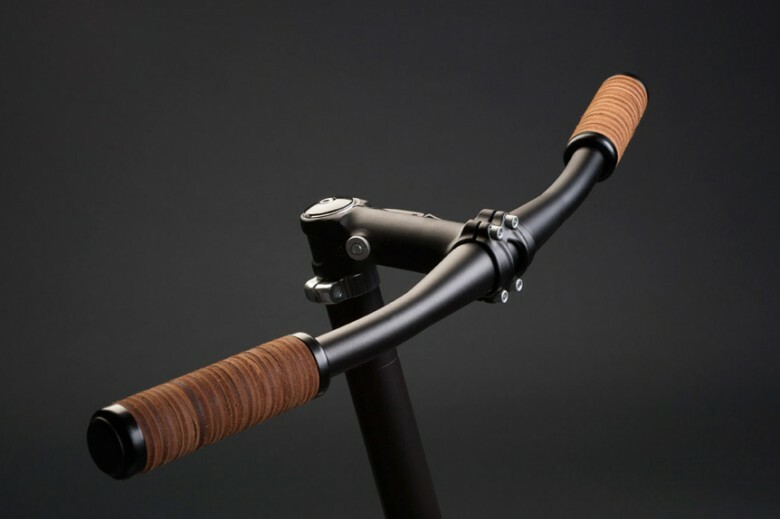 Grips — Reverse leather strips by Propalm for CASTRO. A comfortable grip. Pedals — Aluminum Ezy MSK removable pedal. Perfect for achieving a flat bike. Tires — Tioga PowerBlock 20 x 1.40. 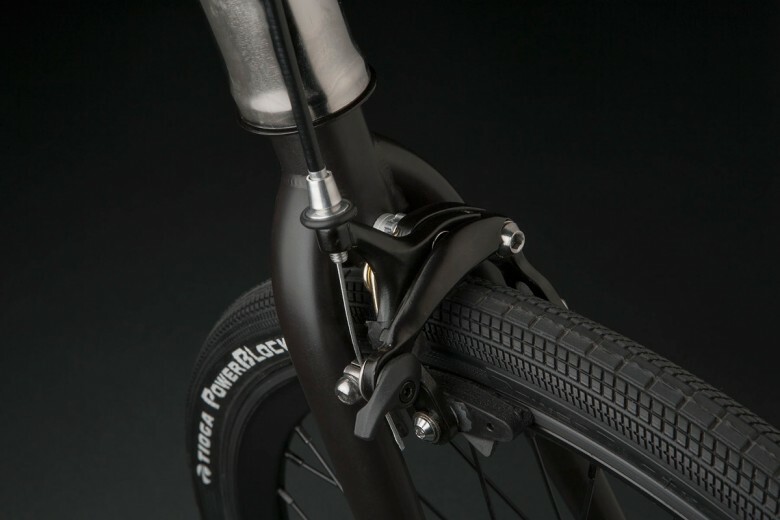 A slim wheel for its 20” diametre, with treads for a better grip. 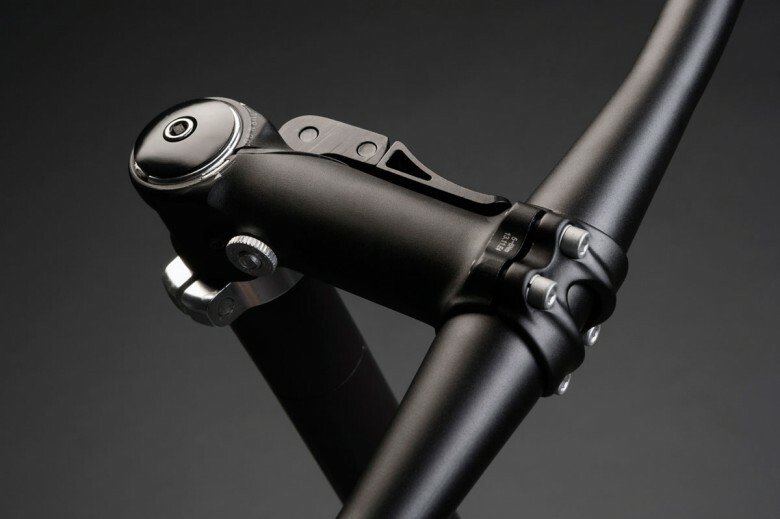 Front brakes — aluminum caliper with dual pivot. 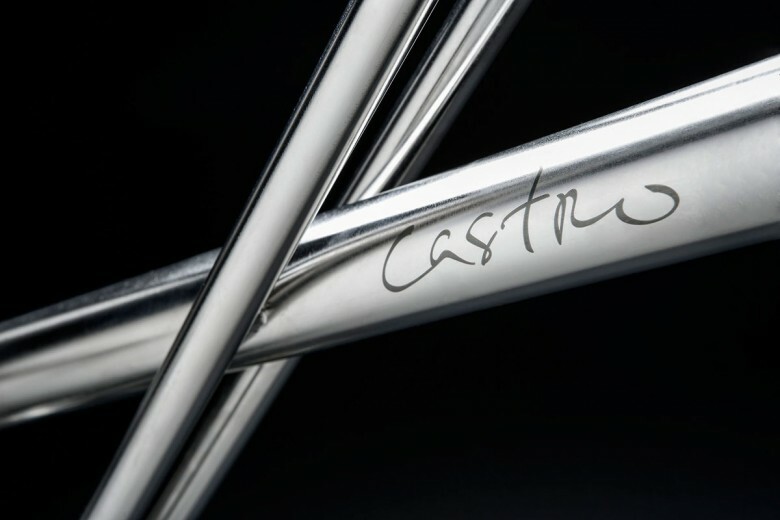 The Castro has a (one-size fits all) single frame with possibilities for a number of different positions.The handlebar has two heights to choose from, 90 or 95 cm. The seat also allows for a 7cm horizontal variation allowing the rider to move closer to or further away from the handlebars. The seat height is also adjustable. Suitable for a wide variety of riders.